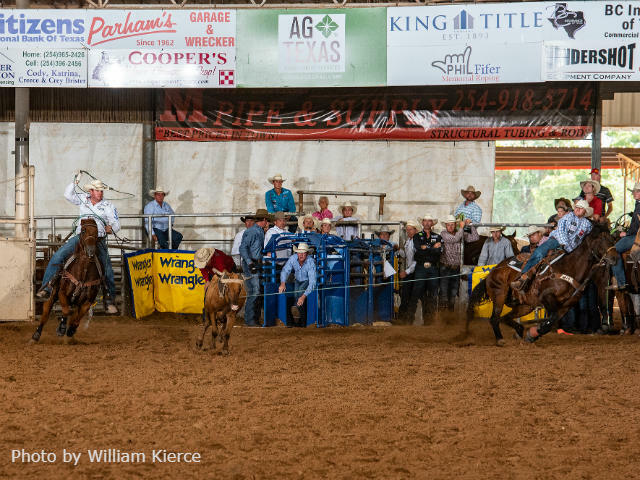 STEPHENVILLE, Texas – The cowboys have spoken: The Cowboy Capital of the World PRCA Rodeo is one of the best in the country. For the fourth straight year, Stephenville’s rodeo has been nominated for Medium Rodeo of the Year in the Professional Rodeo Cowboys Association. Only five committees are up for the honor in each of four categories, so that means it is one of the top 20 out of about 700 rodeos annually. “I think we’re nominated again because of the committee we have together,” said Chad Decker, chairman of the volunteer committee that organizes the rodeo, set for 7 p.m. Friday, Sept. 28, and Saturday, Sept. 29, and 2 p.m. Sunday, Sept. 30, at Lone Star Arena. As one of the final rodeos of the 2018 regular season and having a large purse, Stephenville’s rodeo is an attractive stop for ProRodeo’s greatest stars as they try to secure their qualifications to the Wrangler National Finals Rodeo. But it’s also a hot spot because of the rodeo’s relationship with Pete Carr Pro Rodeo, which has six nominations for Stock Contractor of the Year. “Last year, Ty Murray told me that, bar none, we had the rankest set of horses he’d seen in his life, much less on a Friday performance,” Decker said of Murray, a nine-time PRCA world champion and a ProRodeo Hall of Fame inductee. “That’s why we have Pete Carr back year after year. We know what we do on our end to put on a rodeo is minimal to what he does every day. This weekend’s rodeo will also feature John Harrison, who will be the clown, barrelman and entertainer for all three performances of the Cowboy Capital of the World Rodeo. He has been named Coors Man in the can twice and is a three-time winner of the PRCA’s Comedy Act of the Year. So is the production and the outstanding bucking stock that will be part of Stephenville’s rodeo. Carr has had more animals selected to perform at the NFR over the last five years than any other stock contractor in the PRCA. Many of those animals will be inside Lone Star Arena this coming weekend. “If you don’t have Pete Carr Pro Rodeo in your Rolodex to put on your show, you’re missing out,” Decker said.